Hi everyone, please welcome Abby the design scout! On her guest post she’ll point out (get it?) 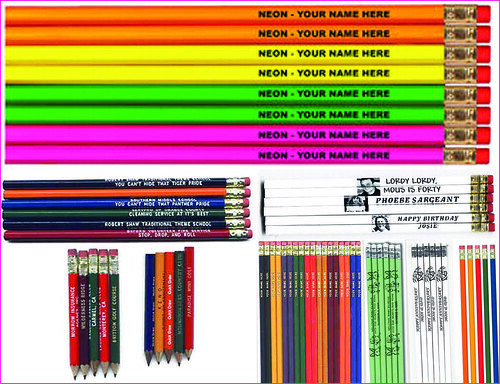 some customizable pencils. I can think of a few things I’d like to have my pencils say to me, “put down the cupcake” for one. “baby mama” or “big boss”. Â You get the picture. Â I’m trying to bring back the pencil! I love pencils, Abbey! Especially colorful neon ones with my name. Fab. Can’t wait to see your guest blog, sister. I know…how fun are these?!! I wish they made artist pencils with sayings…. hmmm…maybe someone should pitch the idea?